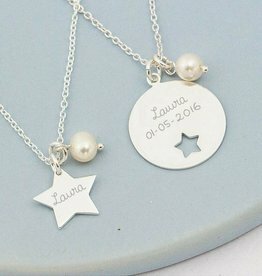 Silver Mother and Daughter necklaces - sparkle together! 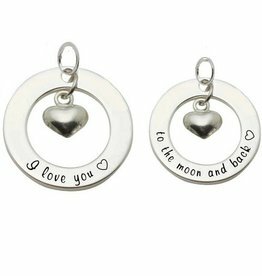 Mum & Me is a collection of jewellery that is designed for mothers and daughters together. 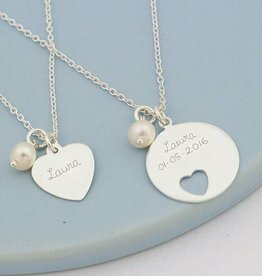 Each piece of child’s jewellery in this collection, has another identical mother’s piece, so that mothers and daughters wear the same necklace together. It's a symbolic way to show how sweet the “mother and daughter” bond is. 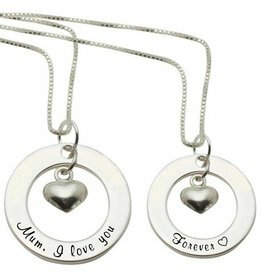 Can’t wait to see your girl proudly wearing the same jewellery as her mum? 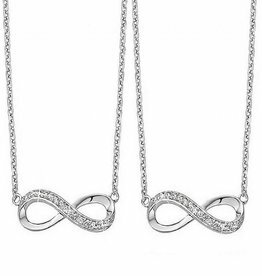 All made of Sterling Silver, forever beautiful. 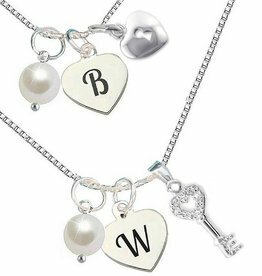 Silver chains set "Key to my Heart"
These beautiful mother daughter necklaces makes a wonderful gift for mother of every lovely daughter. It is a reminder of the special bond between them. 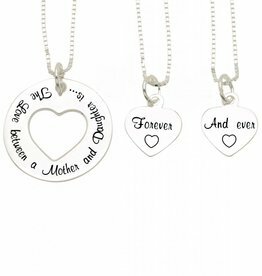 Our personalised mum and me necklaces are hand engraved with precision. 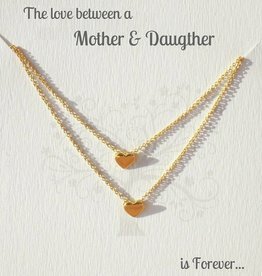 Each piece of jewellery is designed with love and affection to strengthen the bond between mother and daughter. 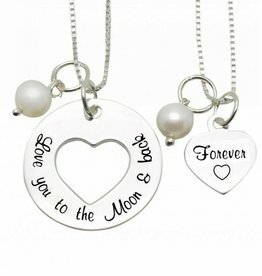 These gorgeous necklaces are placed in two pink pouches or two jewellery boxes and comes with a polishing cloth to keep them shining for years to come. 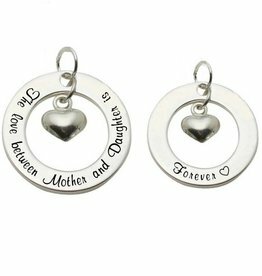 We engrave special messages on the sterling silver charms which give a more beautiful meaning to the bond between mother and daughter. These ‘Words of Love’ show her how much she means to you. 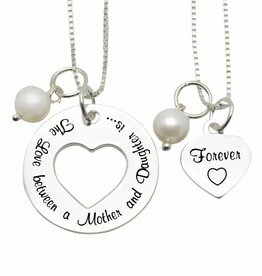 Because of the special significance of our silver mother daughter necklaces, the owner Tanja often receives requests for two ladies' silver necklaces, one with a key and the other with a lock or with other lovely charms. Here's how you can order this as well, without any additional costs! Select the largest girls' size. 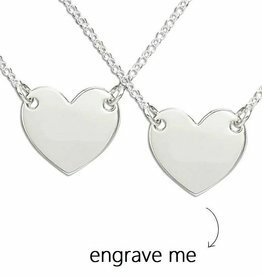 While at checkout, specify in the comments that you want a ladies’ necklace instead of a child’s necklace. 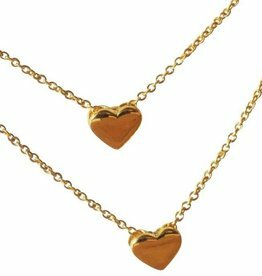 Specify which size of ladies’s chain you would like. 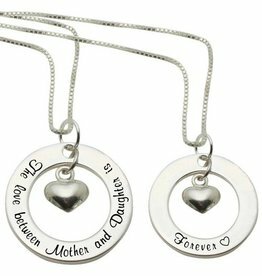 Our mother daughter necklace sets are a great way to demonstrate your love to your family. 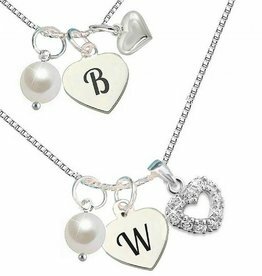 Think about giving your daughter a piece of jewellery with a symbolic charm? 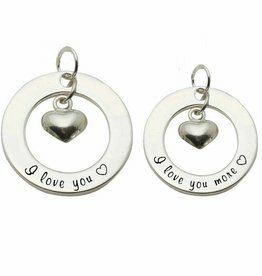 When worn, it will remind your daughter how much loved she is. 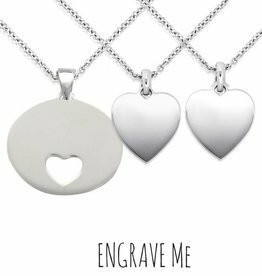 With every necklace you order, you can order an additional silver necklace. 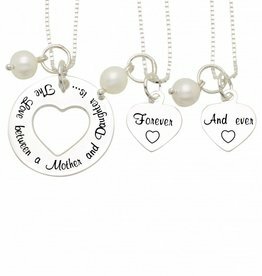 We didn’t forget about grandmothers either, you can simply order one more mummy necklace for the grandmother. This family set will make the whole family shine!